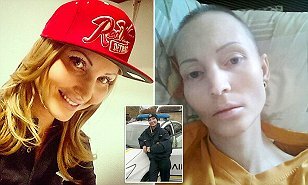 An unexpected infection caught hold of a policewoman while she was on the job arresting a thug. She had no idea that the criminal she was arrested was infected with the deadly tuberculosis disease. She was doing her job when he spat in her face. Arina Koltsova, from Kiev, Ukraine, was arresting a suspect on New Year's Day - unaware that he was suffering from tuberculosis (TB). While carrying out her duties she was spat on by the man. The hardworking 35-year-old police woman remained untreated for some time, before she collapsed at work one day. After the chemotherapy treatment, usually used for the advanced stages of tuberculosis failed , she died on Monday.